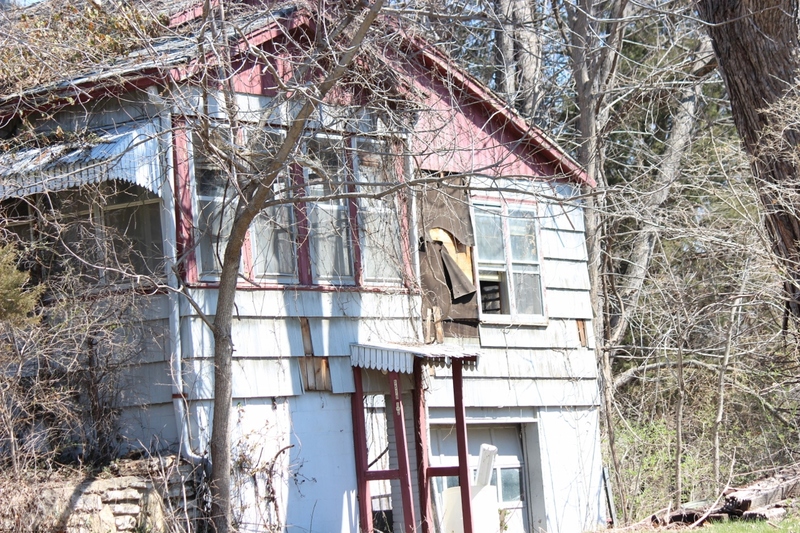 There is a house in our little burg that is unloved and forgotten. No one lives there anymore. I imagine that at one time it was filled with laughter and people coming and going. 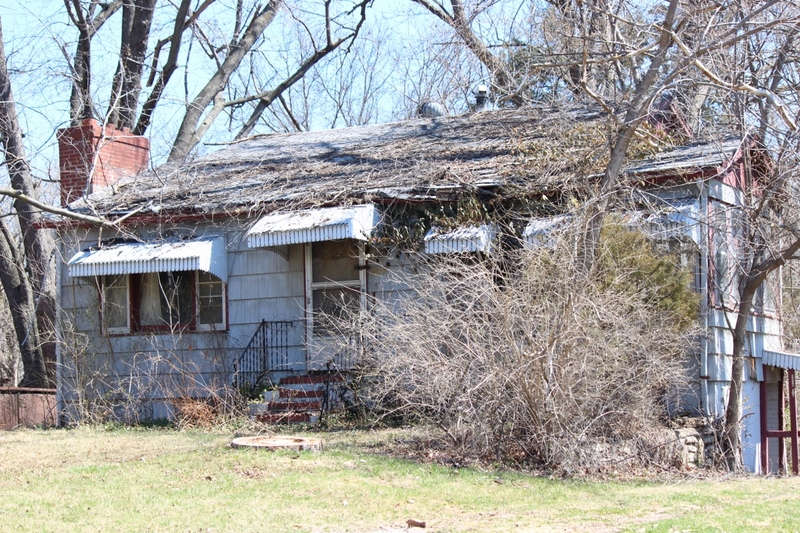 Today it sits vacant with tree limbs lying on the roof and seedlings have sprouted in the gutters. The weeds growing on the roof are healthier than the ones in my yard. How weeds can grow on an asphalt shingle roof is beyond me, I have places in our yard that weeds won’t even grow. 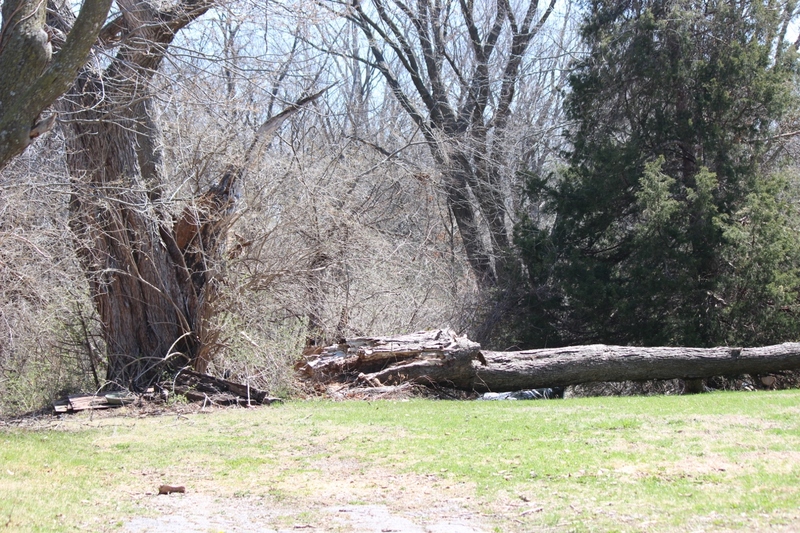 A giant tree has fallen over and lies across the ground. To call it rundown and shabby is an understatement. The roof is sagging in spots giving it a rippled look. Every day when I drive by the house, I am surprised that it still stands. There is a padlock on the front door, I assume to keep people out, but surprisingly enough there is an open window on the side of the house that has been open for a year now, through the summer and winter last year. I can only imagine what creatures have made it their home seeking refuge from the cold and snow over the past winter. It’s probably pretty cozy for squirrels and raccoons dry and out of the wind. I don’t think I want to go in and find out who or what has taken up residence. I’m not that brave. The house reminds me of a series on cable a few years ago about what the earth would look like if the entire human race was gone and how Mother Nature reclaims her world bit by bit. When it starts getting warm again and everything is greening up and growing, the house may become totally overgrown with vines. It is truly a very sad portrait of our society that we create something live in it then cast it aside without a care. 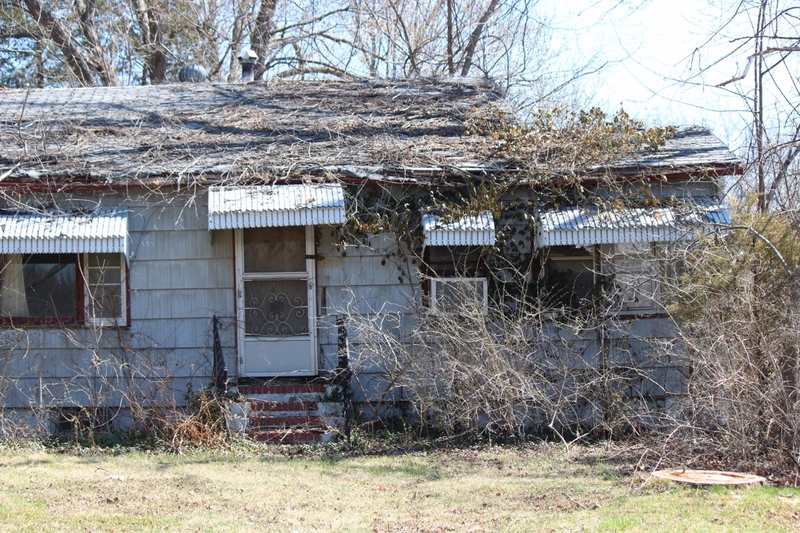 I’ve never been in the house, but I think that had someone still loved the house and cared for it, then the house would not have gotten to this state. There is a story that the owner found his true love and moved to a warmer climate, or perhaps the house is haunted and the ghosts of the long ago past haunted the house forcing the man to flee afraid to go back in the house. The fact that the house still stands after such a long time of vacancy helps to fuel the haunted thoughts of a creative mind. Besides I would rather believe the house is haunted than the boring truth that it is just unloved. What do you think, is the house haunted or just unloved? I see so many like that here – but the walls are stone and give the passing idea that the house could be rescued. Sadder still are the ones half-built and left after our economy bubble burst five years ago. I always wonder – who owns that land that can’t realise what a precious thing it is, to leave it lie as it is. I agree, especially when I see some much natural habitat being destroyed for new development and older homes and buildings are left to rot. What a great idea, Eric. I could start a series. It is a house still loved – by you, as your words and photos so articulately show.. Even in decay, there is beauty, I think. Thank you, the house intrigue’s me, I wish I knew the history.